Topic: "My family's story in 1948 - fleeing Jaffa, building a future in Israel." George Deek, Israel's vice ambassador to Norway, giving a lecture in the House of Litterature in Oslo, during a MIFF event 27 September 2014. - This is the best speech an Israeli diplomat ever held, was the reaction among several of the listeners. "The best speech an Israeli diplomat ever held" George Deek in Oslo. Related Videos. Disney's Frozen "Let It Go" Sequence Performed by Idina Menzel. Oct 08, 2014 · Denouncing democrats new role in supporting the spread of communism, islam and intent in destroying the american way of life. 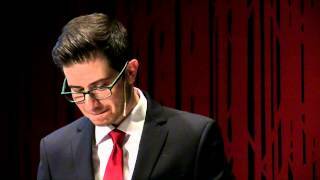 Nov 28, 2014 · "The best speech an Israeli diplomat ever held" George Deek in Oslo . Den här unge mannens tal är värt att lyssna till! Upplagd av Daniel kl. 17:20. “The best speech an Israeli diplomat ever held” George Deek in Oslo 0 November 26, 2014 standard. Bennett on CNN: “Palestinians need to stop incitement.